A recent FB post that mentioned the USO prompted me to go to You Tube and research Captain Glen Miller. Glen Miller was probably the best known Big Band leader in the US when the US entered WW2. He enlisted in the Army Air Corps and used his considerable talents to build morale among the troops often through USO shows. He also provided background music for war effort documentaries. Whatever the case the Army lost a top shelf morale builder and entertainer. The below You Tube video illustrates the kind of work Miller did. It’s a tribute to Women’s Army Corp (WACs) and Rosie the Riveters-women who worked in industry while the men served in the military. 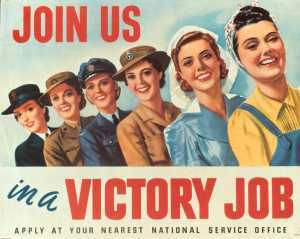 About 150,000 women volunteered to serve in the WACs during WW2. The roles were non-combatant and thus released 150,000 men for combat duty. The women served in an amazing variety of roles. In the video you will see them serving as hospital medics, tank drivers (testing) AA gunners and firing machine guns. There are also glamour shots no doubt for the benefit of “the boys” and at least one shot of a WAC handling a M1 Carbine. There is something humorous about seeing women in long skirts “man” an AA battery! Of special interest to me is that my mother-in-law Margaret Rozman (nee Robinson) served as a WAC in the medical corp. She was stationed in Seattle, WA and cared for the wounded of the Pacific Campaigns. Although she remembered her service fondly she also remembered her duties as sad taking care of men horribly disfigured by combat. For some her pretty face would be the last thing they saw before entering eternity. 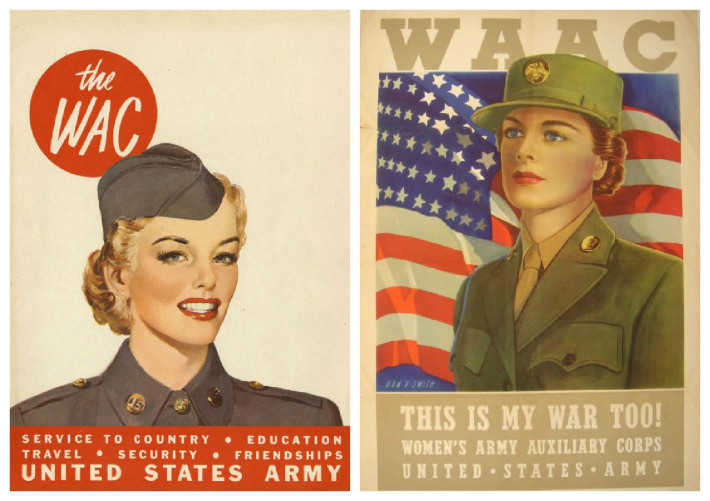 The contributions made by the WACs should not be underestimated. They blazed a trail for women in the military and did excellent service. The social impact made my the WACs and the Rosie the Riveters also should not be underestimated. When the boys came home most of the Rosies and WACs married and settled down thus the Baby Boom of which I am a product of. What changed however was a shift in thinking from a one-bread-winner type home to a two-bread-winners type home as many women pursued careers or otherwise pursued employment outside of the home. World War 2 changed much. The video is fascinating nostalgia and Americana. It’s typical of the kind of “shorts” that would precede the showing of a movie-hence the intro by another famous character-Bugs Bunny! The clip is a fitting tribute to the WACS and Rosies backed up by three of the Glen Miller Band popular songs including, In the Mood. Enjoy. Nice history spot here. 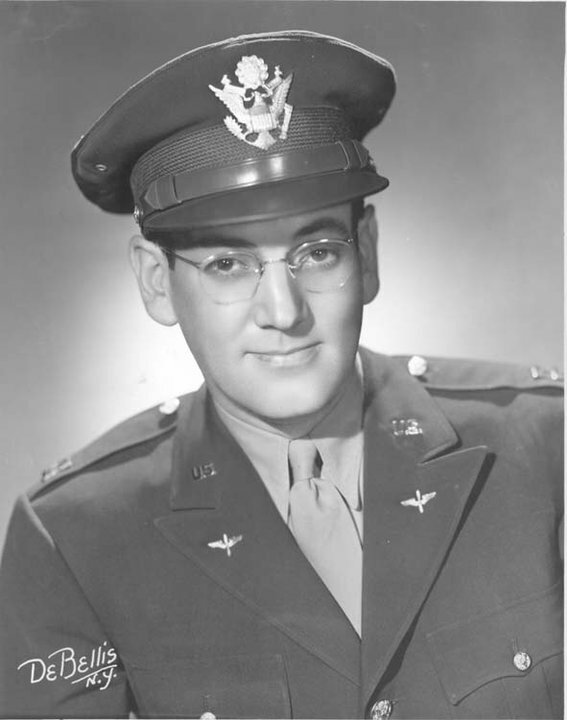 Indeed, the loss of Glenn Miller was a big hit – not just on the military but for the folks back home. His wind instrument-backed melodies were “it” for that time. Heh thanks for stopping by and the link. I have enjoyed his music for many years. I have a considerable collection of CDs, and cassettes from the middle 80’s when I first discovered Big Band and Swing music for myself. I was much younger than the average fan then, so it was a bit unusual. I accidentally discovered it via a now-defunct independent radio station in Indiianapolis, and soon became their youngest devoted fan! My husband and I have visited the Museum of the US Air Force in Fairborn, Ohio (just outside Dayton proper) many many times. They have a very nice exhibit there devoted to Glenn and his band’s time in the Army Air Forces, performing all over Europe during the War. They include a pair of his glasses, and one of his trombones which was used by Jimmy Stewart when he starred in the title role of “The Glenn Miller Story” with June Allyson which they made in the 1950’s. There is always a recorded concert being played within the exhibit, and the museum gift shop carries a variety of CDs, books, memorabilia, and other items devoted to him. I have a lot of their items as well as music I have acquired elsewhere. We have attended a concert of the current incarnation of The Glenn Miller Orchestra several years ago, and it was a marvelous time. The sound is the same, and there were orchestra members at the time who were 2nd generation of the original members. There was a big Swing Dance resurgence going on at the time, and many people there who were involved in it, and it was wonderful watching them jitterbugging to the faster tunes, while older members of the audience waltzed and fox trotted to the slower ones. It’s also great that the orchestra has never disbanded, and has always been under the experienced direction of one of its members, the first being Tex Beneke, who took over after the tragic loss of Glenn. I have heard, like so many others, of the theories about his loss, but the most persuasive and probably the most likely, involved an eye witness report of a bomber crew member who observed a small, light plane below them over the channel being struck from above them by a bomb being released from another bomber in their group. All the planes were dumping unspent bombs before landing. It was regular practice to release any unspent bomb loads prior to landing when missions were scrubbed for whatever reason, to avoid horrible accidents from occuring during landings. Unfortunately, that time seemed to have caused a horrible accident anyway, given that the story is true. The very heavy fog present over the channel at the time is the real culprit to me, since their plane surely would have been seen first without it and they probably wouldn’t have been struck. Thank you for stopping by and the extraordinary comment. It is worthy of a blog post on it’s own such is the quality of information and personal touch. My wife and I plan to visit the AF museum in Dayton in August and you can be sure we’ll be paying attention to the Glen Miller area. Again, thanks for stopping by and sharing your story. Greatly appreciated. You’re quite welcome for the visit and the comment, and I thank you for the lovely complement on my post! That it’s worthy in and of itself to be a blog post is a great complement from one who does such a great job blogging himself! It is greatly appreciated, I assure you. Since it’s now well past August, may I enquire as to the quality of the journey to the Museum of the Air Force in Fairborn? I know it has grown and changed by leaps and bounds over the years, since my husband and I made our first visit in 1977, while traveling from Virginia to his home state of Illinois right after he had been discharged honorably from the US Air Force at Langley AFB, in Virginia’s beautiful Hampton Roads area, my own hometown. We have made numerous visits, as I mentioned before, over the years, eventually bringing our children along as parts of family vacations and weekend jaunts, since we eventually settled in central Indiana, about an hour and 45 minutes away from the museum. I hope you found it as interesting and intriguing as we always have, and that it was worth the visit! Thanks for stopping by again and making a comment. I’m sorry to say we did not make it to Dayton. We ended up selling a house and had a bit of a rush to get things done. We did get to go to the EAA fly in for a day spending most of it in the warbirds area. I think next summer a trip to Dayton will be scheduled.